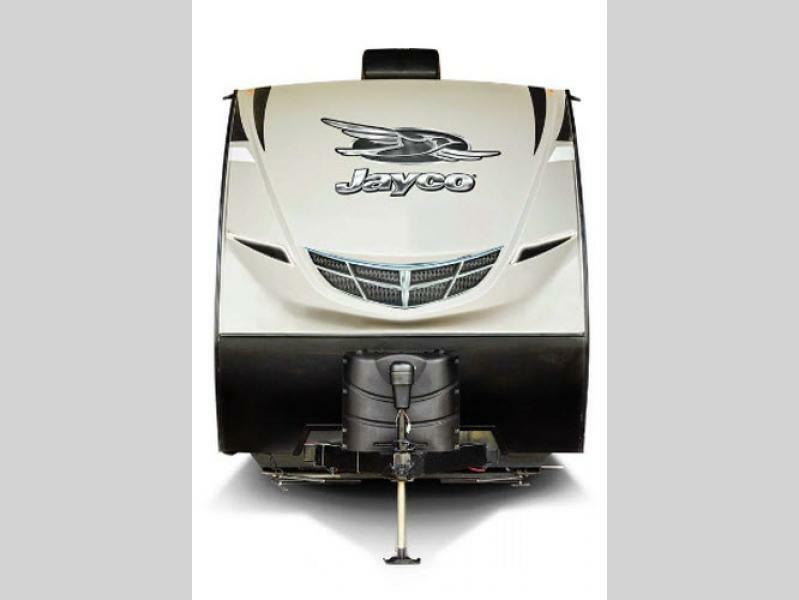 This line of Octane toy haulers by Jayco is designed for exceptional camping comfort and convenience. 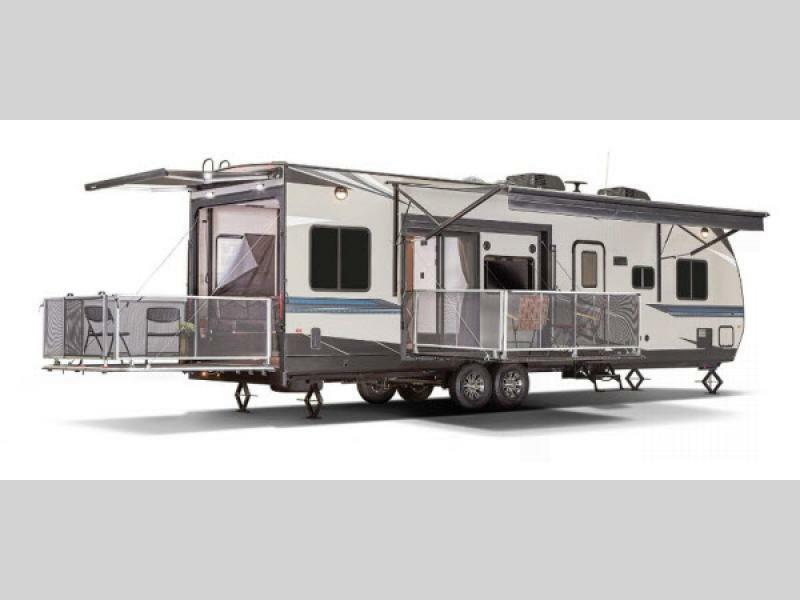 These trailers are built upon the Jayco difference which means that they include reliable items like the Magnum Truss Roof System which can withstand up to 4,500 pounds of weight, fifty percent more than the competition. 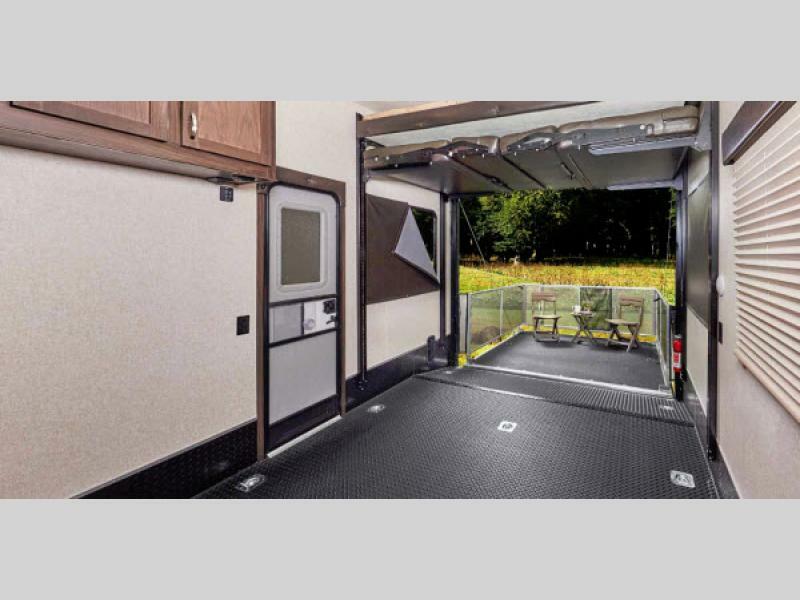 The welded aluminum frame gives a sturdy yet lightweight base which will support all of your storage needs without harming the integrity of the structure, and the vacuum-bonded walls and fiberglass exterior provide superior protection against the outdoor elements. 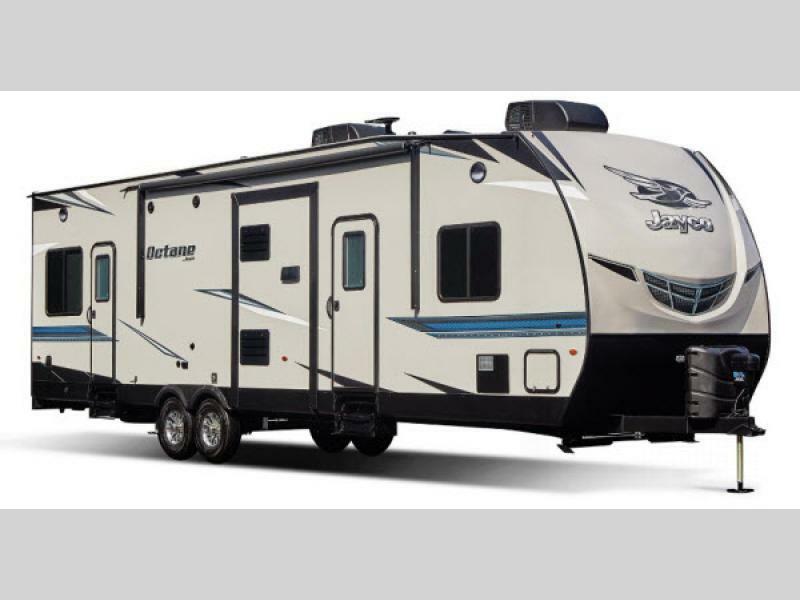 These Octane toy haulers make it easy for you to tow all of your favorite outdoor equipment while still traveling in style. 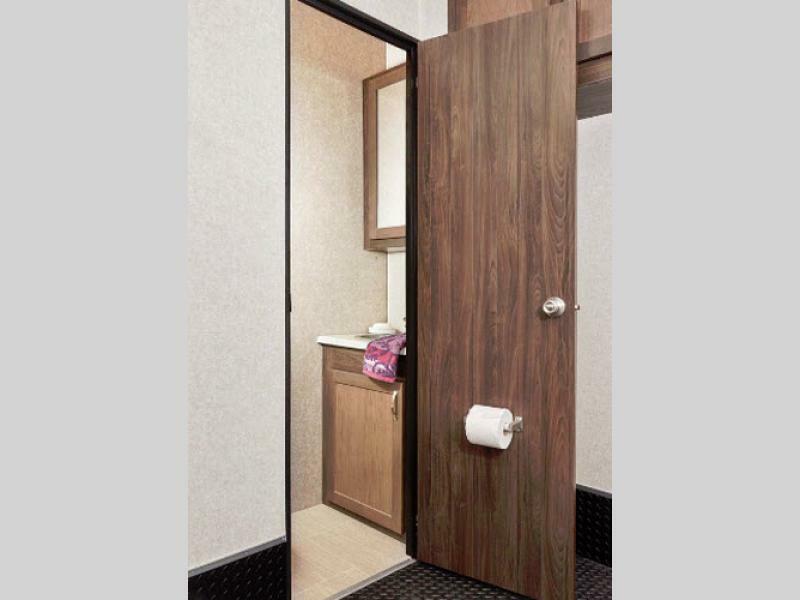 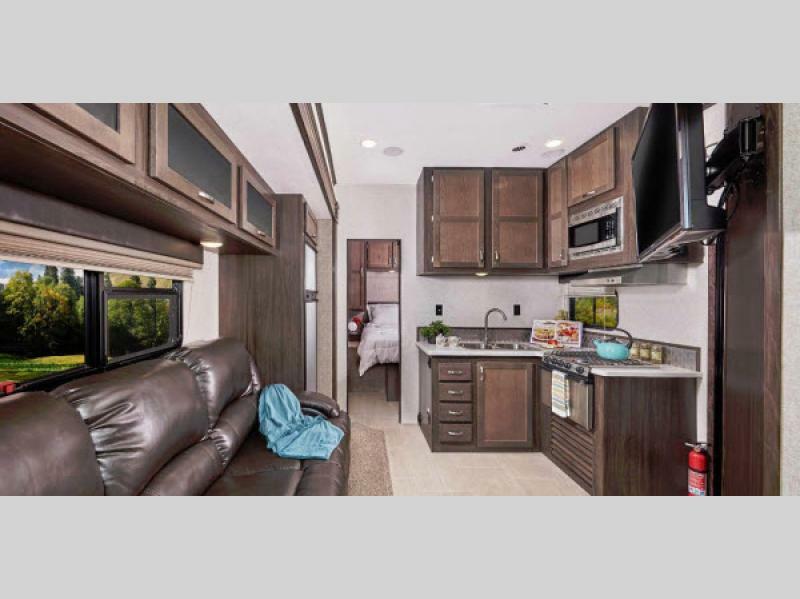 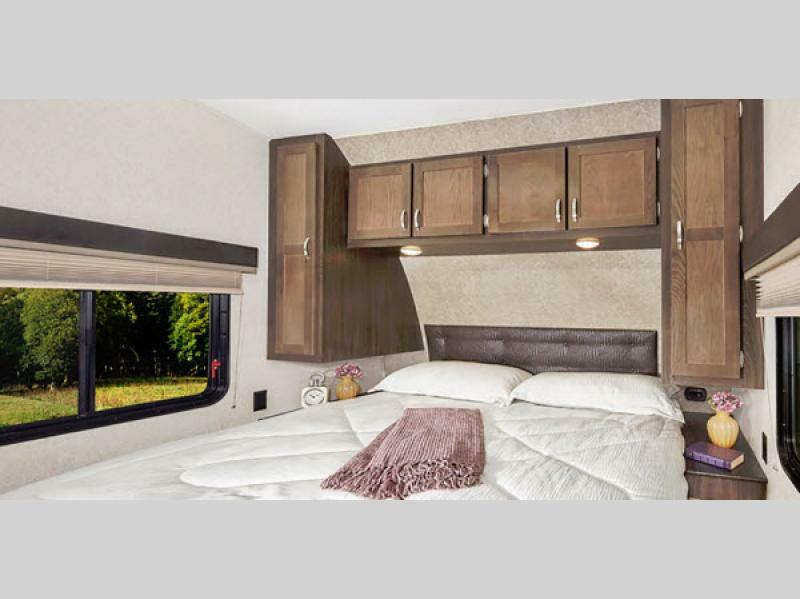 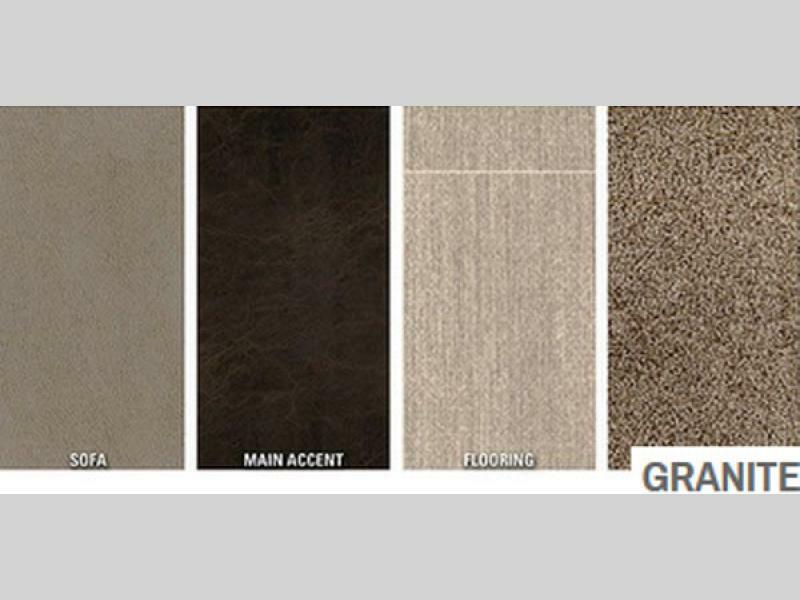 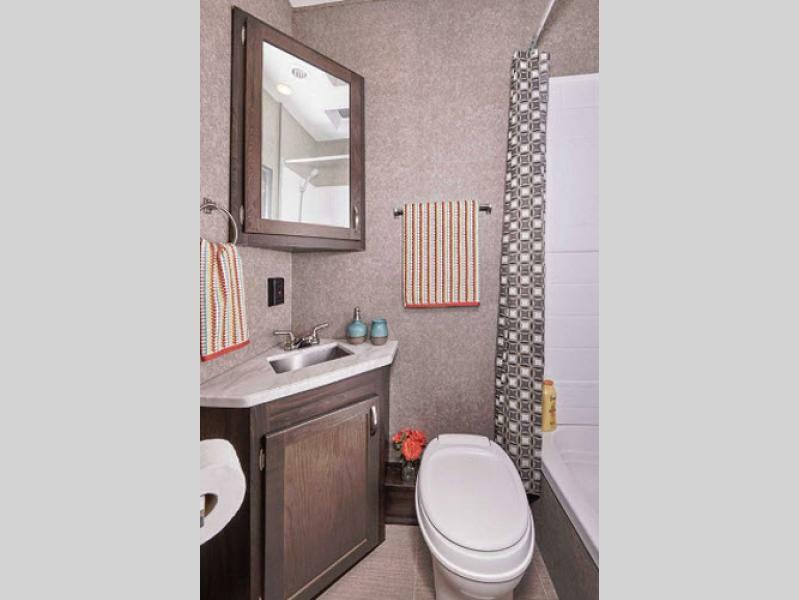 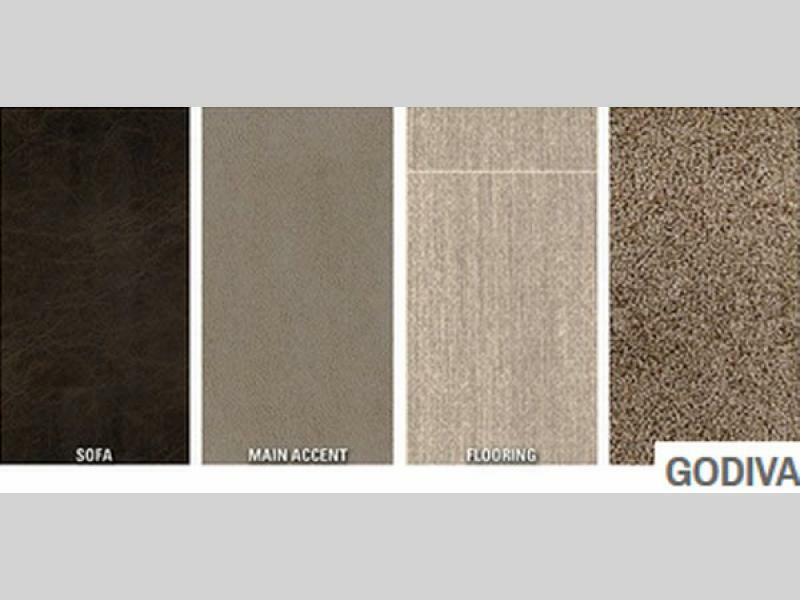 The stainless steel appliances and seamless countertops give these units that home-like feel, and the Jayco-exclusive Simmons mattress will be an amenity you wish you had in your own home. 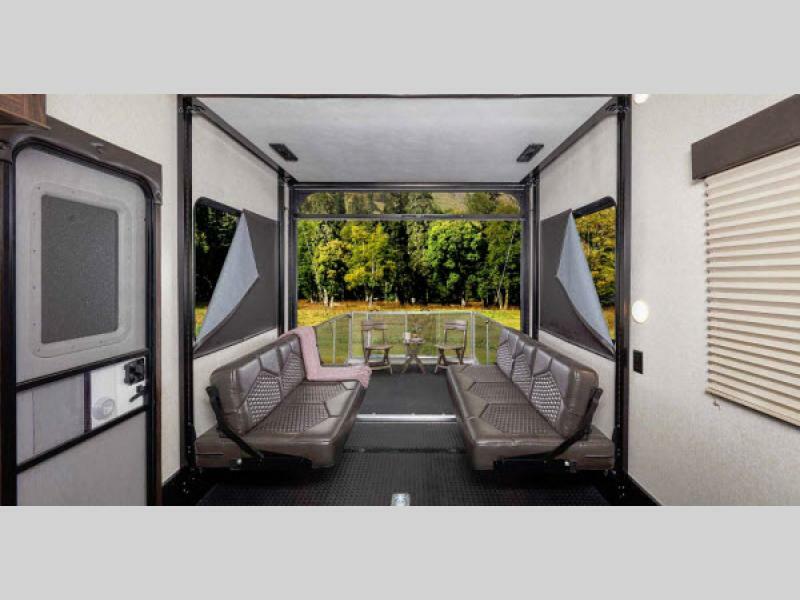 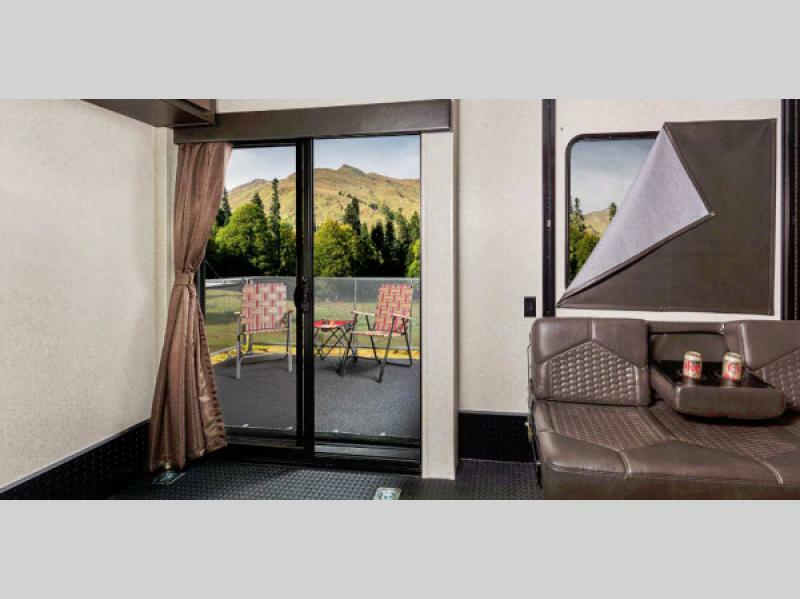 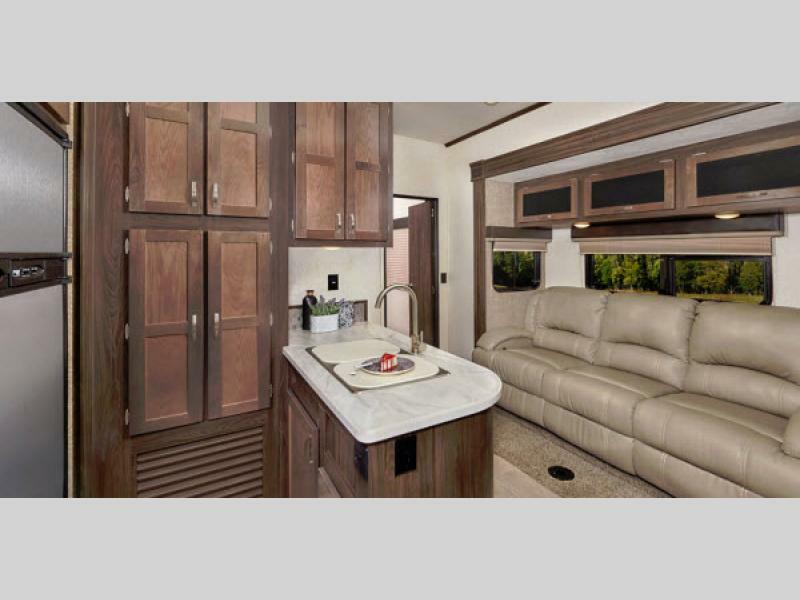 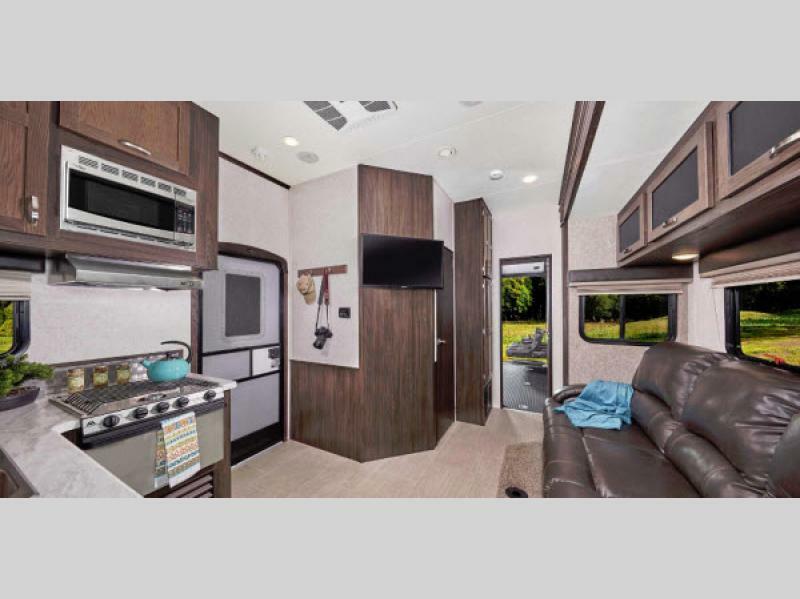 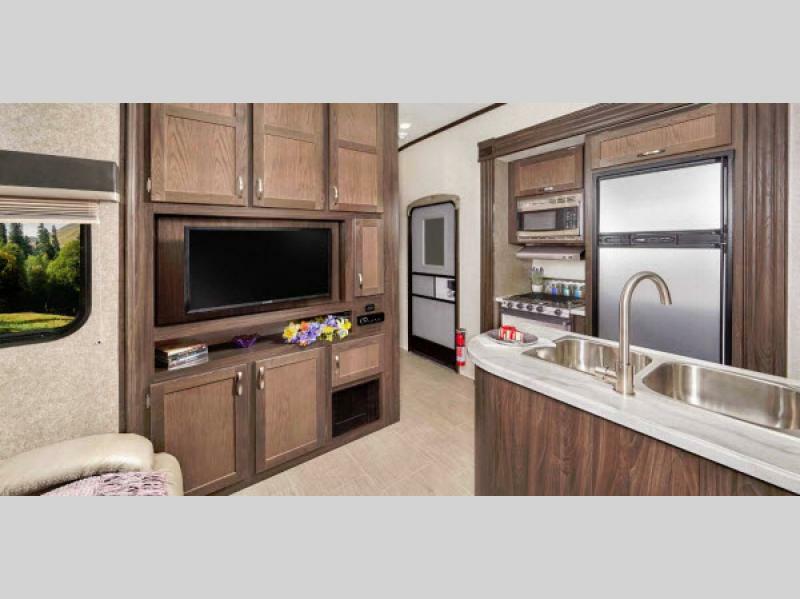 Each unit has been outfitted with many modern-day necessities, such as the AM/FM/CD/DVD/Bluetooth with four interior speakers and two exterior marine-grade speakers, as well as a USB charging port and LED lighting throughout. 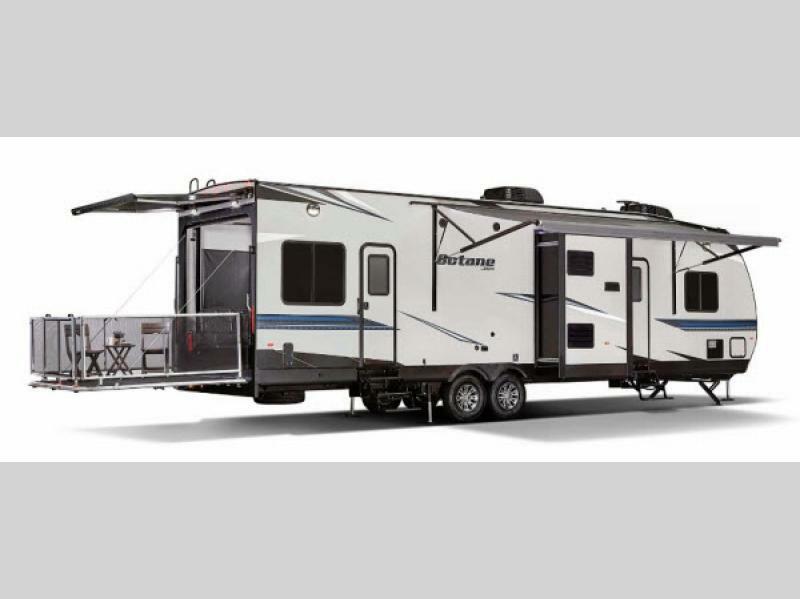 Take your adventures to the next level with this Jayco Octane toy hauler!